Marketers and public relations professionals have access to more information and data than ever, making this an exciting time to work in those industries. For all the opportunities data has brought, though, communication professionals continue to struggle to understand how their efforts impact all aspects of the funnel. Even with exciting new technologies that allow for better tracking of campaigns, channels and brand sentiment, PR professionals seem prone to making apples-to-oranges comparisons when quantifying their results. A 2017 survey by PRWeek and the PRCA, for example, found more than 35 percent of agencies and just over 23 percent of in-house teams are relying on advertising value equivalents (AVEs), rather than metrics that are more PR-specific. This failure to prove ROI in a unique or sophisticated way has a direct impact on the PR industry’s bottom line. According to a 2017 benchmark report from Gould Partners, annual PR agency operating profits have consistently fallen, dropping from about 19 percent in 2011 to about 15 percent today. With so few public relations professionals having even heard of the Barcelona Principles (and with only 18 percent of those who have actually applying them), it’s not a stretch to apply that quote to public relations. Savvy, data-informed public relations and marketing is an absolute must as the fight to win customers becomes more challenging every day with startups and global competitors entering the fray and marketing and public relations techniques becoming more advanced. So the question remains—how can marketing and public relations professionals accurately determine and report ROI? In the following pages, we will discuss how to build and operate a comprehensive system for analyzing marketing and public relations efforts from a financial perspective and in terms of intangibles. ROI, literally return on investment, has historically focused primarily on the financial impact of specific business activities, and it is often expressed as revenue divided by the costs responsible for producing that revenue. However, more than just dollars and cents goes into marketing and public relations ROI. In a post on Business2Community, veteran PR expert Doreen Clark encouraged her peers to prove that their work is more than a shot in the dark. Many have debated the differences and overlap between marketing and public relations as the lines that have historically delineated the two fields have become less obvious. This blurring is the result of social media and other digital influences becoming essential for public relations professionals and marketers to monitor and understand. Where marketing and public relations overlap likely changes from organization to organization based on the resources, strengths and goals of each. Historically, public relations professionals crafted and sent press releases, built relationships with media contacts and engaged with targeted influencers. Marketers tend to work more with paid search, paid advertising, search engine optimization and search engine marketing. Two forces are creating even more change in both these functions. The first is content marketing, which can broadly be defined as storytelling that focuses more on the everyday interests and challenges of a brand’s audience, rather than its own products and services. In this way, brands are acting more like publishers with their own blogs, magazines and other forms of owned media. In fact, the most recent data from the Content Marketing Institute shows 80 percent of B2B marketers agree their organization is focused on building audiences or one or more subscriber bases. While ownership of content marketing strategies and budgets may rest with marketing in some cases, PR agencies and corporate communications teams may need to play an important role in driving awareness and engagement with these new branded content properties. Just as brands are creating their own content, so are everyday individuals. That’s why “influencer marketing” is the second disruptive force in PR. Beyond reaching out to traditional journalists, for instance, PR professionals may now be required to court “stars” with large followings on Instagram, YouTube, Snapchat or similar platforms. A 2017 survey of UK PR firms showed 39 percent plan to spend up to £10,000 on influencer campaigns, while a further fifth estimated their budget to be between £10,000 and £100,000. For the purposes of clarity and simplicity, we will refer to traditional public relations and marketing divides, but you will likely find that these distinctions do not align exactly with your role or organization. The first step in measurement is understanding the limitations and complexities of marketing and public relations analytics. We see too many oversimplified and flat-out bogus online calculators and products that claim to measure ROI with 100 percent accuracy. Calculating the outcomes of public relations and marketing initiatives is difficult, but having reliable measurement processes are worth the investment. They help you understand which efforts are successful and show who your customers are, what they are looking for and how to win more of them. They also provide insights into market trends that are valuable to your communication, sales, customer support and product development teams. The second step is to set up all of your data that relates to a financial outcome so you can analyze it through a single source. You need to track all of your marketing efforts—every campaign (webinars, white papers, etc.) and channel (email, Google Adwords, Facebook, etc. )— in the same database used for sales. All of your public relations efforts that are directly linked to a financial outcome, like a press release with a tracking link, should be tracked in the same system. Most companies use a customer relationship management (CRM) system like Salesforce or Microsoft Dynamics. On top of a CRM system, we recommend incorporating a marketing performance management system to track all marketing touchpoints a lead comes across. Without a system that tracks leads through the sales funnel, you are unable to connect communication efforts and revenue. Furthermore, you will be unable to get insights about which channels and campaigns lead to the highest contract values. In addition to looking at financial outcomes, you will also want to look at data, such as share of voice and sentiment, that have indirect financial outcomes. That was the thinking behind Cision® Communications Cloud®, a platform that includes analytics, a management calendar, influencer recommendations and more. Its extensive search criteria and filters are designed to accelerate the process of list building, engage with influencers in a meaningful way, take advantage of editorial opportunities and more easily executive multi-channel campaigns. The most recent edition of Cision Comms Cloud™ also integrates Cision Distribution by PR Newswire as well as Help A Reporter Out (HARO), where journalists can make requests for sources. The third step is analysis. Once your data, your marketing performance management system and your media intelligence solution are set up, you will have the ability to understand how your customers first heard about you, which campaigns or channels they most often come through, how many channels they touch, how long the typical journey is and so on. The “final” step is consistent A/B testing, data gathering and analysis. Because your communication and sales landscape will constantly evolve, you need to frequently analyze your data, detect changes in patterns, test campaigns and channels and interact with your customers and prospects via surveys to ensure you promote your best campaigns and most profitable channels. 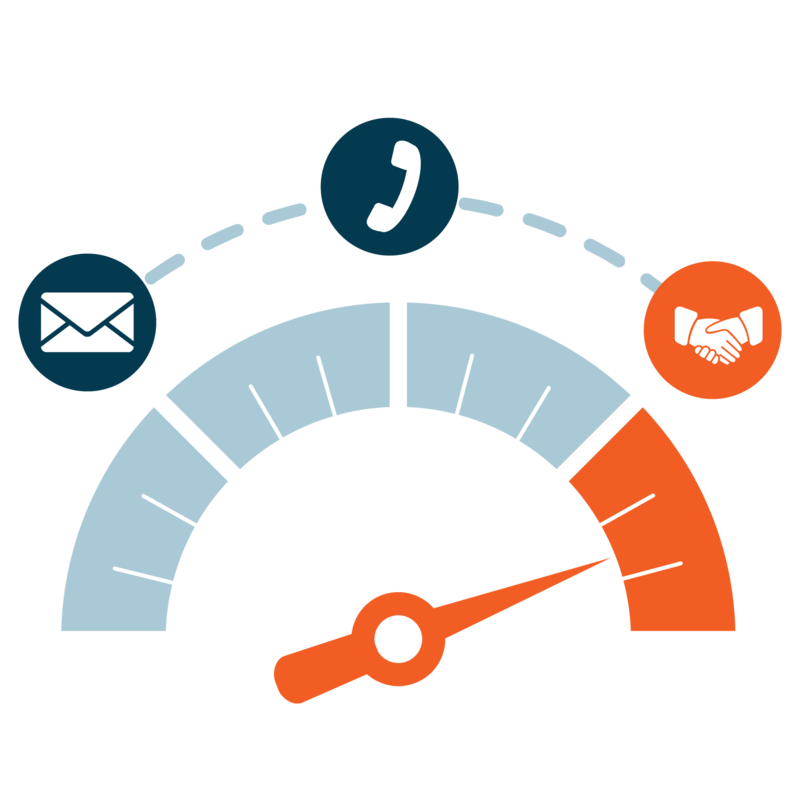 Below we will dig deeper into these steps to help you set up a measurement system that leads to a deeper understanding of the value of your communication efforts. Ideally, you would input and measure all of the factors that influence your progress toward achieving a goal, whether that’s a sale or a more indirect financial outcome like increasing brand sentiment or share of voice. However, the real world has variables that are difficult or impossible to capture in a database. For example, a lead may have chosen to buy your product only after she read a blog post that is not affiliated with or tracked by your company. Or, your company may have recently grown its sales team, making it difficult to understand if recent communication or sales efforts led to revenue changes. The calls to action in content marketing assets or the links provided to influencers to post on their social media accounts could also significantly impact results. Furthermore, large-scale influences like economic factors unrelated to your communication or sales may have altered the spending habits of customers.The same can occur in public relations. Just because a member of your target audience sees and engages with a press release or influencer campaign, doesn’t mean that touch changed their perspective or drove them to tweet about your brand. It could have been a water cooler conversation — after all 92 percent of consumers trust recommendations from other people over promotional content that comes directly from brands. As brands try to nurture a member of their target audience to a specific goal, they will likely provide multiple public relations and marketing campaigns that the target will touch. For example, she may learn about your brand from an influencer campaign, attend one of your company’s webinars, download multiple white papers and attend a live event. In fact, according to Salesforce, it takes six to eight touches to qualify a lead—that’s a lot of touchpoints! Because prospects engage with brands through multiple campaigns and channels, you should implement a marketing performance management system to track all of the campaigns and channels your target audience engages with and comes through. Out-of-the-box CRM systems are designed to be a single-touch model. This means that either the first or last campaign receives 100 percent of the credit for a conversion. If you know that your leads tend to come through multiple campaigns or channels (and most likely they do), then incorporating a marketing performance management system that utilizes a multi-touch attribution model will more accurately distribute credit across the different campaigns and channels. Cision Comms Cloud, for example, provides advanced reporting capabilities around what kinds of PR tactics led to media coverage, which can then be tied back more directly to sales activity. Because of the half dozen touches leads often now require, the journey to get your target audience to take a specific action takes time. A webinar, for example, introduces customers into the funnel, but many businesses work for months before reaching a conversion. Often, though, communicators are required to determine a campaign’s success quicker than that. The ability to provide a number of how many conversions are associated with a campaign in a given time frame is important, but it is equally important to understand and explain how that number is still only a part of the larger picture. A multi-touch attribution model provides a sense of the patterns of the customer journey from lead to customer. For example, once you set up a multi-touch attribution model, you will get a sense of the distance between campaigns and conversion. You may learn, for example, that compared to traffic from your press releases, live events tend to have quicker routes to conversion. A post from a social media influencer with a highly engaged following, meanwhile, might drive impressions and share of voice that was once only possible through a newspaper or magazine article. Similarly. content marketing assets like branded podcasts could bring your message to an entirely new audience. Imagine you are working for a company that spends $1,000 a month on Facebook ads and another $1,000 on LinkedIn. Let’s say that the service you are selling costs $100. You notice that 50 of your new customers last month came through Facebook while only 20 came through LinkedIn. You decide to shift your marketing budget so that you increase spending on Facebook from $1,000 to $2,000 and decrease LinkedIn spending from $1,000 to $0. Does this mean 100 new customers will sign up through your Facebook marketing next month? Probably not. Even if there are no new factors influencing sales conversions, we can’t assume that there is a 1:1 conversion rate increase for every dollar increase in spending on a certain channel. It might be more or less, but you won’t know until you have enough data over time to understand the influence of one channel over another. Patterns you currently detect across your campaigns, channels and conversions will change over time, so past data won’t always predict future outcomes. For example, you may notice that a channel that has historically performed well may have plateaued or become less effective. It could be that the channel has seen declines for other businesses, the audience or channel has evolved requiring a change in content or messaging, or you have tapped out that channel’s audience. This underscores the importance of regularly analyzing your data, A/B testing campaigns and channels over time (which we will discuss later in this e-book), and regularly surveying prospects and customers on their evolving needs. As mentioned previously, most companies use some kind of CRM system to track their public relations, marketing and sales data. CRM systems were originally designed for sales teams and essentially acted as a digital Rolodex of leads and customers. Knowing that CRM systems were originally designed for sales teams is helpful in understanding some of the limitations of out-of-the-box CRM systems. Without customization or the addition of a marketing performance management system, CRM systems do not optimally track public relations and marketing campaigns and responses to those campaigns. PR professionals should also explore marketing automation platforms. These applications are designed to help deliver consistent, personalized and relevant messages across multiple channels such as e-mail, social media, mobile apps and the web. Marketing automation, combined with CRM, becomes a way of helping more only marketing functions but PR and corp comms teams who want to achieve similar goals of building customer journeys that can be tracked effectively. Below we will discuss how to set up your CRM system so it accurately tracks the impact of your communication. In the 2015 “The State of Salesforce” report by Bluewolf, users from mid- to enterprise-sized companies cited “accessing different types of data” and “reconciling data from different sources” as the biggest barriers to deriving insights from Salesforce. Without first syncing your data sources—like your marketing automation system, website analytics and sales information—you will not be able to track the relevant touchpoints your audience comes through before they take an action. When it comes to marketing, it is important that the sales processes in your organization are such that the campaign and channel information is conserved when a lead is converted to an opportunity and a customer. Out-of-the-box CRM systems are usually set up as a singletouch model, a system in which one campaign (usually the last) receives 100 percent of the credit for a conversion. However, the campaign associated with the win may not have been the ultimate factor. For example, the lead could have received an email right before she converted but never opened it. A marketing performance management system resolves these issues by tracking all of the communication and sales touchpoints a lead comes across and can be used to create rules so that only campaigns with an appropriate response are credited. Once you have your data sources connected with each other and have set up a marketing performance management system that allows you to track all of your data, you are now positioned to analyze your data and identify your most and least successful campaigns and channels. To weight or not to weight touches? Weighted campaigns attempt to quantify the impact of each touchpoint on a customer’s or your target audience’s journey. Before choosing how to weight your measurement, you need to understand the impact of different campaigns and channels and how customers move toward the goal you set for them. Below are different examples of weighting campaigns that assign different percentages of credit for a conversion. This is your basic model where all campaigns receive credit equally. If, for example, a customer touched four campaigns before she made a purchase or took a desired action, each campaign would receive 25 percent of the credit. In this model, the last campaign prior to a conversion receives the most credit. Earlier interactions receive less and less credit. If the last campaign of four receives 40 percent credit, the third may receive 30 percent, the second 20 percent and the first 10 percent. In this model, typically 40 percent of the credit is given to the first and last touches, with the remaining 20 percent divided evenly among the middle interactions. Which model is best? Many theories suggest certain models fit certain business types. However, it is paramount that you use more consideration than just matching a model to your business type. We recommend those starting in multi-touch attribution use an even or linear model. This will provide a sense of which campaigns are most associated with conversions as opposed to non-conversions. Switch to another weighted model when you can demonstrate with your data that a time decay or position-based effect exists. Once you get a sense of which campaigns are successful, you may choose to promote them differently, which will then change the effect of position. Let’s say that through your analysis you find that one campaign is particularly associated with a desired outcome, and that this campaign is often the last touch compared to other campaigns. Your team may increase the promotion of this campaign, resulting in it becoming a first touch for your target audience. If you stick with a U-shaped or time decay model, you may set yourself up to under-credit this influential campaign in the future. Rather than obsessing about how to weight or arbitrarily weighting your campaigns, use an evenly weighted model for reference, but identify the associations between touchpoints and desired actions. For example, you can show the total revenue or media pickups a campaign was associated with. You can also show the number of times a campaign was associated with the highest contract values, tier one coverage, certain verticals or any number of other variables. On the flip side, you can determine which campaigns were most associated with the fewest wins. This analysis not not be limited to traditional campaigns using press releases and other tactics to target media, but also the use of “owned media” such as branded magazines, Twitter chats, work with Instagram and YouTube stars and so on. Keep in mind you will want to consider company variables associated with those non-conversions. Depending on your level of expertise, you may choose to use Microsoft Excel or statistical software like SPSS, JMP, R, or SAS for your analyses. Excel has come a long way in recent years in terms of data analysis. You may discover through your analysis that influencer campaigns produce a specific outcome more often than press releases. Does this mean that influencer campaigns are more impactful in driving people to a certain action? Not necessarily. Correlation does not mean causation. It could be that members of your target audience who are already close to making a purchase or writing about your brand prefer information from a third party as opposed to directly from your brand. In its B2B Customer Experience 2017 report, for instance, consulting firm Accenture showed that most customers are already 57 percent through the buying process before they first engage with a brand, and 90 percent never respond to cold outreach. As any communication professional knows, the job is never done. What worked yesterday may not work next week as new competitors emerge, platforms change and your target audience’s needs evolve. Once you are comprehensively tracking the impact of your outreach activities, you will need to consistently monitor for shifts. Dashboards provided by marketing resource management and media intelligence software providers will alert you to sudden changes or gradual shifts in your communication landscape that you can investigate and analyze further. Once you have completed preliminary analyses on your data and have detected patterns, the “final” step is a constant cycle of surveying customers and prospects, A/B testing campaigns and channels, running new analyses and repeating the research cycle again and again. Customer surveys are an opportunity to get to the “why” behind your analyses. Your analyses may uncover certain trends, like how certain influencer campaigns, media outreach, pieces of content or events are associated with increased share of voice or conversions. However, you may not be able to determine why some campaigns are more successful than others. Most companies engage in quarterly or semi-annual in-depth surveys that cover the entire cycle of the customer journey (research, sales, onboarding, etc.). This gives communication teams valuable insights into how customers first learn about your company and the business challenges they are trying to overcome with your products or services. Once you have taken stock of trends in your public relations and marketing activities, you have probably formed some hypotheses about why certain campaigns and channels work better than others. A/B testing is essential to validate your hypotheses. It will provide answers you may not be able to get otherwise. For example, let’s say you notice one of your white papers received favorable reviews from leads who read it and that those leads were significantly more likely to convert than those who read other white papers. However, the favorably reviewed white paper had relatively few downloads. You may hypothesize that the title was suboptimal. To test that hypothesis, create two versions of the white paper such that half of the visitors to your website see the old title and the other half see the new title. If you simply change the title instead of testing both, it will be more difficult to determine whether any changes you detect are due to the title or some other factor. Imagine an assistant who could research and recommend the ideal influencers to approach with a particular story idea, or a headline on a press release that is guaranteed to attract more attention than what has been used in the past. Now imagine that your assistant is actually an artificial intelligence (AI) tool. AI technologies — which can include everything from natural language processing software to machine learning algorithms — can analyze historical data, identify trends and take over many communications tasks that were time-consuming or manual. On the other hand, consulting firm McKinsey predicts 45 percent of tasks currently performed by people being automated using existing technologies. That shouldn’t cause panic for communications professionals. Instead, as AI capabilities are added to CRM, marketing automation and even distribution and reporting tools designed specifically for PR, consider where they could assist with multi-touch attribution. Some of the questions about what channels or tactics work best may be answered by AI, for example. AI could also bring greater predictability to certain PR campaigns by forecasting the financial impact of getting coverage by a particular media outlet. This is an area to watch, and for which communications professionals should be preparing today. There are many ways to create a tighter connection between your communication outreach efforts and its overall impact on the organization. One relatively simple way is to ask members of your target audience how they first heard about your product or service and record those responses in your database. Ideally, you would want to create a pick-list instead of or in addition to a free-form response. You may find that many of your leads will mention something not captured in your CRM. Another way of connecting the dots between public relations and sales is plotting the data from each in a multiple line chart with time as a predictor of a particular public relations outcome, like media mentions. You can do the same with marketing in terms of predicting a sales outcome, like revenue. Let’s say you notice that after sending an exciting press release about a new product, you have an enormous spike in media mentions about your company the following week.You may also notice a spike in leads coming through your funnel a week later. By examining multiple press releases and by following the funnel, you will get a sense of the overall effect of press releases on leads and sales, as well as identify the different outcomes press releases generate. For example, you may find press releases announcing new products generate buzz and leads, but press releases about leadership lead to buzz but not a lot of leads. Best practices emerge when PR practitioners apply rigorous methods for measuring outcomes. This becomes increasingly important for PR in demonstrating to executive management the value of social media and digital engagement with publics. Measuring change in attitudes and behaviors requires pre- and post-testing, and benchmarking, research methodologies that academic educators should emphasize in pedagogical approaches to instruct students learning about strategic communication. Multi-touch attribution is a must for all enterprise brands and most mid-market businesses. That’s not to say that it is easy, but the fact that it requires such a commitment and so much effort is why it presents such a great opportunity for brands. Only those who are truly committed to aligning their business, adopting the right technology and nurturing this form of measurement will experience the benefits it requires. Don’t wait for this tactic to become mainstream or completely automated. Who knows if that will ever happen? Be a trailblazer in your office, in your company and in your industry. Do more than your peers and competitors ever thought possible. Push the industry and your business forward with multi-touch attribution.